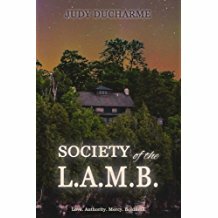 So happy to announce that Society of the LAMB will be re-released September 23, 2016 by Prism Book Group. It will be available on Amazon and many other places. Josiah knew he’d been detected, but by whom? He must get to Grandfather’s place to see if survival in this age was still possible. The stories from his youth about King Glory . . . could they be true? Could life and freedom be normal again. Not if the watchers had their way. The dreams, the visions, revealed he was chosen. Had he heard the shout? Can you be brave enough to let your inner light shine while other feel compelled to put that light out? Is your life showing?